Bell to get the Samsung Galaxy S II and Motorola Milestone 3? The Samsung Galaxy S II news just keeps poring in, and this time its more concrete evidence of it heading to Bell. After Sasktel announced that it would be getting the Galaxy S II, we speculated that it was only time till Bell would get it as well since all of Sasktel's HSPA devices are from the same selection of phones from Bell. 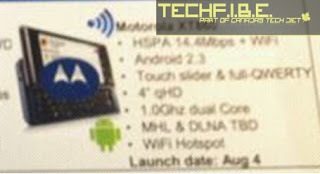 In addition the same leak indicates that Bell will be receiving another dual core Motorola device. While the Galaxy S II leak was expected, the Motorola XT860 leak was out of left field. There is a little bit of confusion as to whether or not this is the Milestone 3 as Motorola unveiled the Chinese version as the Motorola Milestone XT883 while this is the XT860. It could possibly be because of different telephony stacks CDMA vs. HSPA. Who knows. 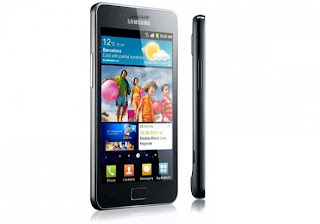 The Samsung Galaxy S II is expected to hit Bell July 14th and the Motorola Milestone 3 is expected to hit Bell August 4th.